Winter is not the time of year most people think about river cruises. 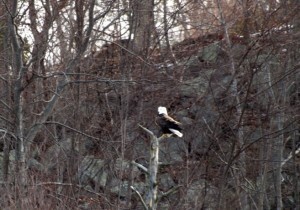 However, the Connecticut River offers a wonderful opportunity to see visitors from Canada; namely, the Bald Eagles. 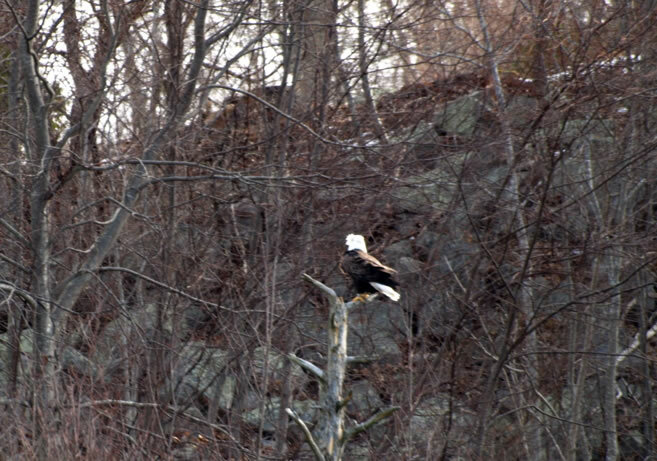 These majestic birds of prey come south and nest on the river during the winter months. They are not the only birds visible on the river this time of year but they are the draw for most people. RiverQuest Cruises depart from Haddam, CT and run from early February to mid-March. The 2 hour cruises are narrated by a knowledgeable and friendly crew in a spacious and warm cabin. I have taken this morning cruise with friends and it’s a wonderful memorable experience. Binoculars are available but remember to bring your camera with its long-range lens.